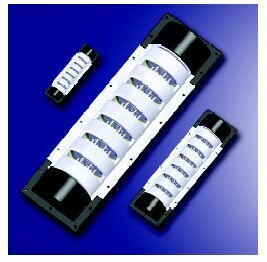 The Air Motion Transformer - or short AMT - works by squeezing the sound out through an accordion like flexible diaphragm. 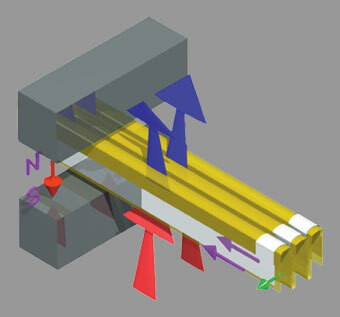 The AMT is often described as a Ribbon - but that is only a half truth. Looking at the AMT from above you see that it looks like many small ribbons turned 90 degrees so the sides faces the listener. These ribbons forms one long voicecoil which when placed on the flexible mylar in a strong magnetic field make the diaphragm flex. Tymphany Linear Array Transducer (LAT) Technology, is a new way to generate sound. I consider it to be a dynamic version of the AMT - therefore you find it on this page. It departs from conventional cone loudspeakers that displace air across a single diaphragm. The Tymphany LAT technology displaces air using a linear array of multiple smaller diaphragms. 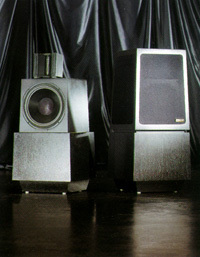 The result is a much more efficient loudspeaker geometry. Highly scalable, Tymphany LAT technology can replicate a wide range of low and high frequencies-from 20Hz to above 4KHz. 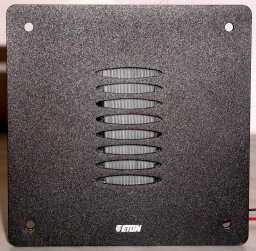 This German manufacturer makes studio Monitors as well as home/cinema speakers - all using the Air Motion Transformer. Dr. Oskar Heil, began his research into loudspeaker design, with a study of the peculiarities of the human listening aparatus. The result of this intensive year-long research program led to his discovery of the principle on which the Oskar Air Velocity Transformer is based. By applying this principle to the design of a loudspeaker diaphragm, he was able to achieve a revolutionary breakthrough in solving the fundamental problems of diaphragm mass, inertia and self resonance. studies led to Dr. Heil’s formulation of his basic diaphragm design theory and the subsequent development of the AMT- Air Motion Transformer. An extremely lightweight diaphragm is folded into a number of accordion-like pleats to which aluminium foil strips are bonded. The Diaphragm is mounted in an intense magnetic field and a music signal is applied to the aluminum strips. This causes the pleats to alternately expand and contract in a bellows-like manner in conformance with the music signal forcing air out of the pleats and sucking in on the other side, the air movement is 5 times bigger than the movement of the membrane, therefore also the velocity must be 5 times bigger. The total moving mass is approx. 1 gram, and therefore an almost perfect transducer. The AMT multiplies (transforms) the air motion by a factor of 5.3 (with a total mass of less than 1 gram) and is, therefore originally called an "AIR VELOCITY TRANSFORMER". The ER4 is one of the smaller Air Motion Transformers.